In order to discuss ongoing research cooperation and further research direction, Dr. Minsung Hong (researcher at the Western Norway Research Institute) had meeting with the BDEM partner research group in Tokyo on December 3rd, 2018. The research group at Intelligent Perception and Urban Computing Laboratory of the University of Tokyo is headed by Dr. Xuan Song. Dr. Minsung Hong (WNRI) presenting research at Intelligent Perception and Urban Computing Laboratory, Japan. In this meeting research students and postdocs at the University of Tokyo presented and shared their work. Moreover, Minsung presented the basic idea of a victim detection technology platform as well as preliminary results from joint research on a framework that efficiently integrates victim detection technologies considering sensing, communication and computing issues. The research aims to achieve a significant time reduction related to Victim Search and Rescue phase by providing wide-area situational awareness solutions for improved detection and localization of trapped victim. They also discussed student-staff exchange visits to Norway. In order to discuss ongoing research activities and further research cooperation, the project coordinator had two extensive meetings with our partner research group in Hong Kong and Tokyo on November 19th and 22nd respectively. In these meeting research students and postdocs at the University of Tokyo and at the Hong Kong Polytechnic University presented their work. The coordinator, Prof. Akerkar presented the BDEM goals and scope to the students and encouraged them to participate in the mobility programme of the project. Further, group leaders Prof. Song Guo (HKPU) and Dr. Xuan Song (UTokyo) discussed synergies between research groups with Prof. Akerkar (WNRI). They also explored new opportunities for collaboration through Horizon 2020 calls. International workshop on “Advance Technologies for First Responders” at ISCRAM 2019 conference. A full day International Workshop on Advance Technologies for First Responders will be organised at 16th International Conference on Information Systems for Crisis Response and Management will be held in Valencia (Spain). The workshop aims at bringing together practitioners and researchers, both from emergency management and technical domains, to share ideas and experiences in designing and implementing novel tools, technologies, guidelines and methods aimed at facilitating first responders’ operations. Two-day Workshop on Big Data for Emergency Management (BDEM 2018) commenced from 22nd October 2018 at Veslandsforsking, Sogndal (Norway). In next two days the BDEM project researchers, practitioners and students discussed on emergency management analytics open issues and provide interesting insights for future actions in the hazard response. Main aim of the BDEM 2018 is to give answers to how to address challenges of current and future emergency management, and how analytics and intelligence can support an enhanced emergency management in the future. Both research and educational aspect were discussed by the workshop participants. The workshop was organised by the BDEM project. Vestlandsforsking Director, Dr. Merete Lunde, inaugurated the workshop and expressed commitment to pursue effective research and education collaboration through the BDEM. The BDEM project coordinator, Prof. Rajendra Akerkar, described ongoing activities of the project and achievements in past one and half year. He further narrated the BDEM approach to share best practices and, to build and strengthen research - training cooperation among partners in big data and emergency management. On 22nd October, Kåre Harald Drager (President, TIEMS) delivered first keynote address on Big Data potential for Emergency Management. He described various emergencies and it impact on society and importance of involving first responders in research and education. In different sessions, four BDEM partners presented their ongoing research work. 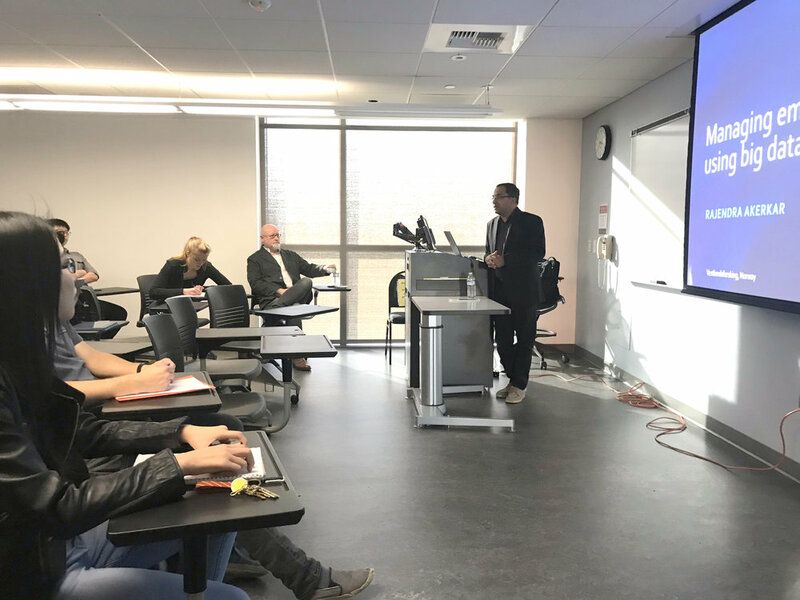 Professor André Skupin of CICS (San Diego State University) presented with overview of first comprehensive scientometric survey of Big Data and Emergency Management. Dr. Aron Culotta (Illinois Institute of Technology) delivered his motivating talk on Text Analysis. In the afternoon session, Dr. Hemant Purohit (George Mason University) delivered his splendid research talk on "Mining Big Social Data for EM Services". Finally, Vestandsforsking's Big data Research Group member, Dr. Minsung Hong gave an intriguing presentation on "Victim Detection Using Advance Technologies". On October 23, chief of Emergency Services at the Bergen Municipality, Ivar Lunde, delivered second keynote address on Risk Management Using Case of the UCI Road World Championships were held in 2017 in Bergen, Norway. He was the Project Manager for the host city of Bergen´s preparations for the UCI Road World Championships 2017 within Civil Protection and Emergency Preparedness. In the following sessions Dr. Vimala Nunavath of University of Bergen presented the BDEM course structure and course contents. Finally, Dr. Fan ZiPei of the University of Tokyo gave his research talk on Predicting Citywide human mobility during disaster situation. The students attending BDEM course at University of Bergen also participated in the workshop. They enjoyed stimulating discussions with international partners on the subject and future research opportunities in the domain. Join the first BDEM Hackathon! Hacking disaster response coordination and communication related data with Machine Learning, Data Mining and Natural Language Processing. Pizza and soft drinks will be served during group work. There will be 3 prizes based on creativity and innovativeness of the proposed solution as well as quality of the presentation. On 14 June 2018, two guest research students, Haoran Zhang (The University of Tokyo) and Thimothy Schempp (San Diego State University), made presentations on their research in the BDEM Project Seminar. Haoran Zhang's research aims to understand what basic laws govern human behaviour and mobility following emergency events by mining big and heterogeneous data, to develop deep and powerful models for human emergency mobility prediction and simulation and implement intelligent system for next-generation urban emergency management. He also presented his work on convex optimization theory and optimization algorithm. Thimothy Schempp presented his work on effectively visualize a dataset generated from an array of wildlife trapping cameras. The data included a timestamp, camera location, and the wild pig individual in that photo. He also presented his work on visualizing how different actors in the San Diego urban agriculture community communicate. He is utilizing natural language processing and dimensionality reduction techniques in his research. The seminar was attended by researchers at Western Norway Research Institute. 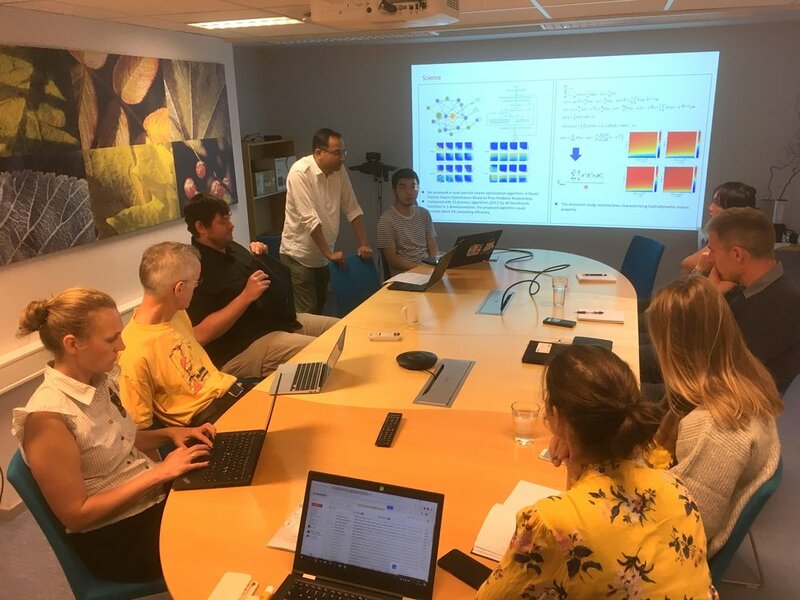 The Big Data Research Team at Vestlandsforsking is hosting two research students from the University of Tokyo (Japan) and San Diego State University (USA) for two months as part of an ongoing collaborative research-education project funded by the Research Council of Norway (RCN) and the Norwegian Centre for International Cooperation in Education (SiU). This visit which taking place in June-July 2018 is part of an ongoing project operating under the broad theme of “Big Data in Emergency Management (BDEM)”. The BDEM project, which commenced in April 2017, involves mobility programme which enables researchers at international partner institutions to establish and develop collaborations with the Big Data Team at Vestlandsforsking with the intention of transferring knowledge and research capabilities in big data in emergency management. Timothy Schempp is studying Master of Science in Geography, with emphasis in Geographic Information Science. His degree expected to complete in Summer 2018. His research focuses on the conceptualization and scalable development of a web-based platform that encapsulates the tri-space approach in an exploratory data analysis environment to facilitate inductive investigation of multitemporal imagery data. He aims at leveraging techniques from machine learning, dimensionality reduction, and visualization to extract insights from a collection of imagery data. During this two-month visit he will focus on applying his tri-space analysis interface to the domain of emergency management. Haoran Zhang is a PhD student at Center for Spatial Information Science, The University of Tokyo. His main research focus is urban informatics and research theme is Data-Driven Scheduling Optimization for Emergency Evacuation and Relief Distribution. He is focusing on scheduling optimization, system design and trajectory data mining. He has published 12 SCI Papers, 3 patents and 1 book (chapter) on scheduling algorithm, risk identification and energy system optimization. His recent 9 papers are under review on the research topics of data driven emergency prediction, public health assessment and system reliability. During this two-month visit his research will be based on the prediction or simulation model, proposing optimization model for emergency evacuation and relief distribution scheduling. Both guest researchers will be collaborating with Minsung Hong and the BDEM coordinator, Professor Rajendra Akerkar. Professor Andreas L. Opdahl of University of Bergen, BDEM national partner, and his research team will also participate in the joint research activity. Our academic standing has been secured and enhanced over the years by a series of international links, visits, exchanges and partnerships. The BDEM project mobility represents the most recent of these and the institute is delighted to play host to such scholarly guests. The Workshop on Big Data for Emergency Management (BDEM 2018) will be hosted by BDEM project in Sogndal, Norway. On two days 22 – 23 October 2018, researchers, practitioners and students will discuss on emergency management analytics open issues and provide interesting insights for future actions in the hazard response. Participants: (1st day and first half of 2nd day) Invited guests, UiB students, BDEM partners. (Second half of 2nd day) Only BDEM partners. The University of Bergen (Norway) is preparing a new "BDEM Master's" course on Big Data for Emergency Management, which will run for the first time in the autumn on 2018. The course aims to provide the theoretical and technical foundations for managing and rapidly leveraging big data sets for emergency management. It covers general theories and technologies for big data, including sourcing, curation, processing, use, and evaluation, with particular focus on using big data for emergency management. At the University of Bergen, information science students Marius Falch Lillevik and Eirik Sjøvoll, are harvesting emergency-related open information in the Bergen region, supervised by professors Andreas L Opdahl and Bjrønar Tessem. The aim is to incrementally build a big-data infrastructure that continuously harvests, cleans, and integrates emergency-related data. There is a wide range of open sources available, including mobility-related and weather information. The research group hopes that the infrastructure can be useful for both teaching of and research on big data for emergency management: both on basic big-data management and analytics, and on practical emergency-management applications. The vulnerability of modern societies to the threats of manmade and natural emergencies increases and scale and number of emergencies are expected to rise. When an emergency hits, the need to respond quickly and efficiently is urgent. Unfortunately, crises often produce chaos and disorganization, which can place even the best laid plans into a state of devastation. Whether it’s a natural disaster or something man-made, emergency management always needs some help in creating safer situations and reaching out to those who have been affected. Emergency preparedness is a key to effectiveness and efficiency in case of crisis or disaster – but we observe that natural and human disasters are too often beyond what is being planned for. That’s where big data has so much potential. 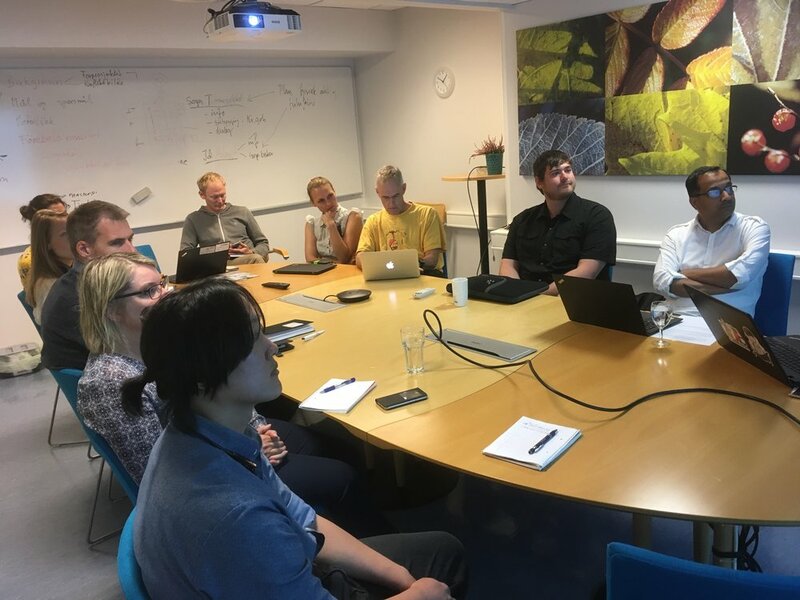 The world leading experts in the field are collaborating on the international research project “Big Data and Emergency Management” (BDEM), coordinated by Vestlandsforsking – Western Norway Research Institute. 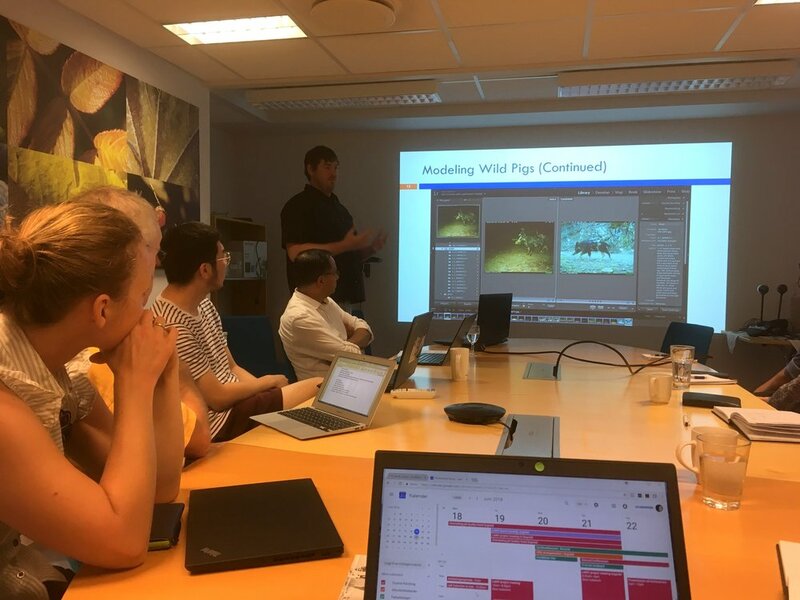 “This project is motivated by the fact that big data is an enabler for the changes and should contribute to the body of scientific knowledge and instruments and tools alike,” says Rajendra Akerkar, BDEM project manager at Vestlandsforsking. The workshop for researchers in the BDEM project was held on Monday 13th and Tuesday 14th November. The workshop was led by Vestlandsforsking and organized at the University of Bergen (UiB). UiB is one of the participants in the project. In the workshop, participants worked on a collective understanding of emergency response, characteristics of emergency situations in local, national and international levels, and research training topics on emergency management in big data era. Head of crisis management in Bergen, Ivar Lunde, delivered an invited talk on how the municipality does its risk management, e.g. during the recent UCI Road World Championship. He explained that they try to predict what can happen, both to prevent unwanted events, and to reduce the consequence if something undesirable happens. “There is a lot of uncertainty in trying to predict the future. Big data can reduce this uncertainty and give us a better understanding of the causes and consequences,” he said. Gasper Bizjak from Federation of the European Union Fire Officer Association has expectations from the project outcome. “We know that there are large amounts of data out there, but there is no channel into the control room. I expect that the academics can develop a solution that can help us interpret the information,” he said. The Big Data Emergency Management project (BDEM) has received support from the Research Council of Norway (RCN) and the Norwegian Centre for International Cooperation in Education (SiU) under INTPART Program (International Partnership for Higher Education and Research). INTPART contributes to the development of world-class academic environment in Norway through increased cooperation with strong academic communities and institutions in selected countries. The BDEM project workshop on Emergency Management in Big Data Era will take place on November 13-14, 2017 in Bergen. The workshop discusses approaches to Emergency Management and Response from a variety of disciplines. In a workshop setting with talks, panel and group discussions, participants will work on a collective understanding of emergency response, characteristics of emergency situations in local, national and international levels, and research training topics on big data in emergency management. Invited speakers are Mike Seear (Kenyon International Emergency Services), Gasper Bizjak (Federation of the European Union Fire Officer Associations, Slovenia) and Ivar Lunde (Bergen Kommune, Bergen). BDEM project coordinator Professor Akerkar recently visited Hong Kong Polytechnic University, the University of Tokyo and National Institute of Informatics, Japan to discuss the bilateral research and teaching activities - and to break down barriers to student and post-doc mobility. Professor Akerkar spent time with Professor Song Guo (HKPU), Dr. Xuan Song (UTokyo), and Professor Yusheng Ji (NII) - in addition to colleagues and students from partner institutions. With Professor Song Guo at Hong Kong Polytechnic University. Speaking during his visit, Professor Akerkar, said: “A large part of my visit is to ensure that we involve a wider group who can be engaged in a fruitful way, in a more meaningful way – as I’m a great believer in involving the academic community in the partnership. This visit has highlighted the mutual benefits of working together on international initiatives on big data in emergency response." With students and Dr. Xuan Song at Intelligent Perception and Urban Computing Lab at the University of Tokyo. Opportunities to work in alliance on collaborative research, student - researcher mobility, teaching programme development and the internationalisation of professional services were discussed. Outcomes from visits included plans for collaborative project applications, joint workshop to identify synergies between the work of participating faculty, and support for the mobility of doctoral students and post-docs. With Professor Yusheng Ji and post-doc researcher at NII. International academic collaboration is increasingly becoming critical to excellent research, and the BDEM partnership is revealing new ways of approaching scientific challenges and solutions in big data and emergency management. Our new INTPART funded "Big Data and Emergency Management" project kick-off meeting took place on 25th -26th April 2017 at Sogndal, Norway. We offer summer internships and short mobility stay for students and researchers from BDEM partner institutions. We believe this is a great way to get to know you, and for you to get to know BDEM activities while obtaining research work experience. Our new INTPART Big Data and Emergency Management project kick-off meeting is scheduled from 25th to 28th April 2017 in Norway. Partners from all partner countries will came together in order to initiate the work in a project with ambitious objectives.